SPENT TIME IN OUTSIDE LANDS PART THREE: After an intense first two days of Outside Lands 2011, we decided to get pumped up for the final afternoon with Major Lazer. 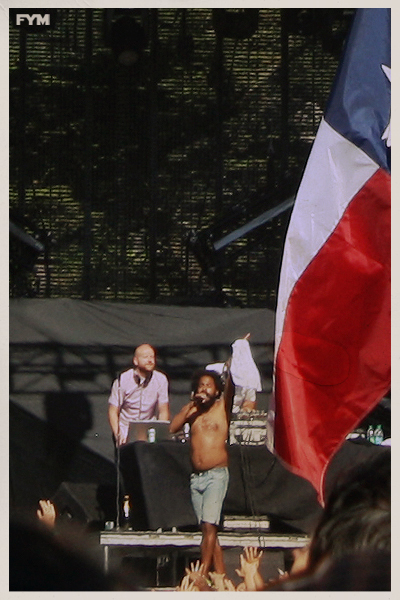 Video Above: The DJ duo Diplo and Switch (Major Lazer), along with hype man, and booty shaking- makes the Golden Gate crowd go wild. Major Lazer's set deserved a night slot in order to make any sort of accompanying light show possible, yet as seen in the footage we took of the Twin Peaks stage audience- people still danced just as hard in the sunshine. 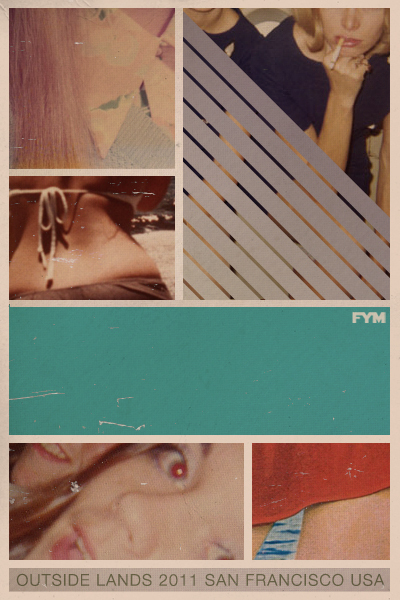 Check out their hip tumblr blog HERE. Bay Area Rock Legend, John Fogerty- known for his work in Creedence Clearwater Revival, and an impressive solo career- rolled through all his hits last Sunday afternoon. Video Above: FYM captured a buzzy crowd dancing while Fogerty blazed through his 1969 classic Proud Mary. 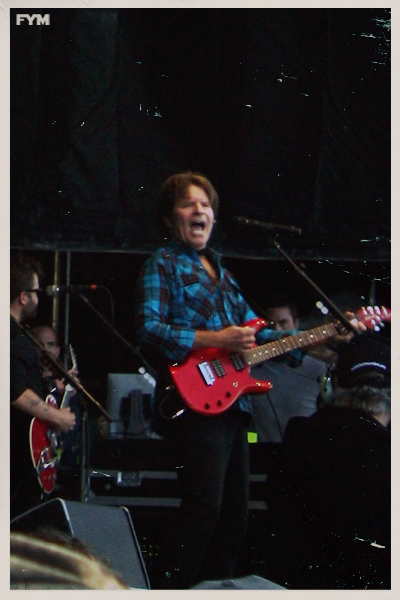 Vague details have been mentioned, but we've heard Fogerty will be releasing a new record in 2011. 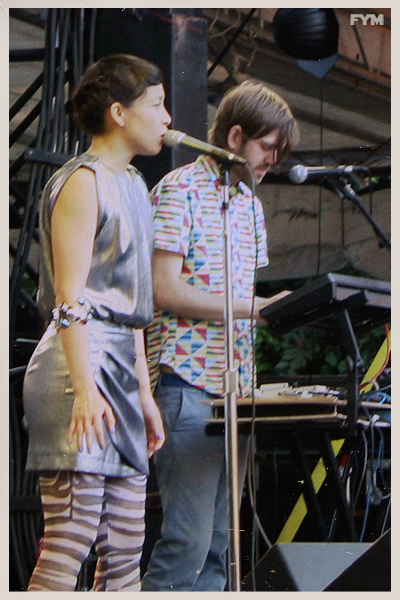 The Swedish Electronic band Little Dragon performed a moving set on Day Three of Outside Lands 2011. Filled with mellow tunes good for the soul, Lead- Yukimi Nagano, painted beautiful vocal-visions as lush digital soundscapes paired dramatically with her delicate presence. The Decemberists delivered an inspiring set last Sunday, minus their accordion and keyboard player- Jenny Conlee (who is currently battling breast cancer). 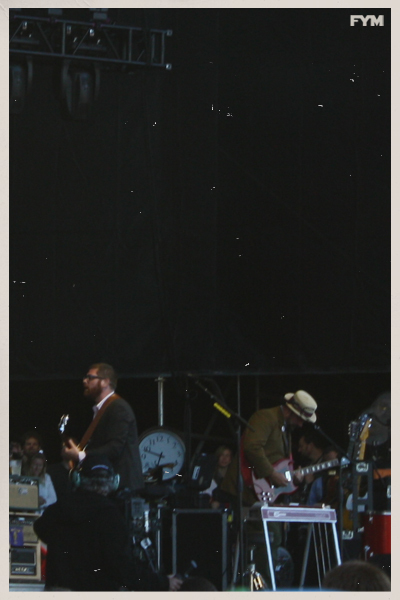 Frontman Colin Meloy, asked the crowd to send out good energy into the universe for Conlee. You can support her cause by purchasing a special Team Jenny shirt HERE. Just as dusk began blanketing Golden Gate Park, Outside Lands 2011 closed with a tremendous bonus- a compelling performance by Arcade Fire! The current reigning champs of rock n' roll music have continued to stay grounded and sincere live (even after the incredible success of The Suburbs, and the 2011 Grammy Award for Album of the Year). 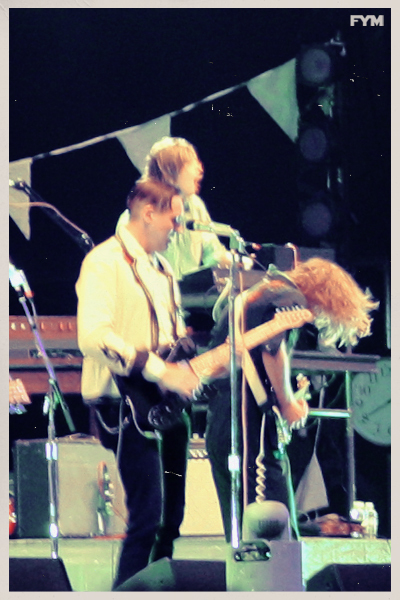 Seeing Arcade Fire LIVE is an emotional/moving experience. Their music brought out the beauty and honesty of everyone standing in that field Sunday evening.We felt complete joy singing along to various selections off all three-masterpiece records the band boasts in their catalog. Glasses Required: The video above is a short clip from Arcade Fire's encore performance of Wake Up (live in 3D) -which forYoungModerns feels captured the spirit of the night. 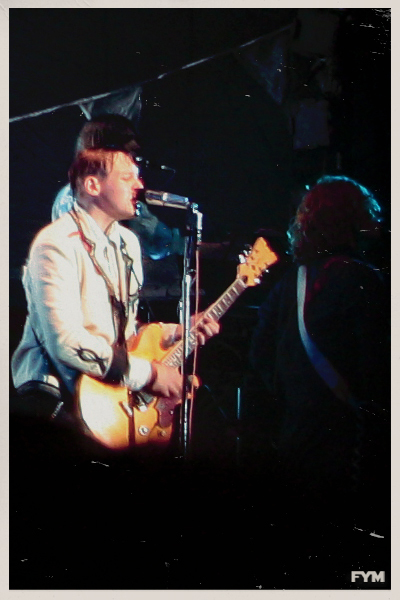 During their set Win Butler also gave a wholehearted plug for everyone to support providing health-care options for the people of Hatti via the Partners in Health organization. The band itself live- is constantly on the move, playing with every ounce of passion each member can physically express- expanding and contracting, flailing in the night breeze. 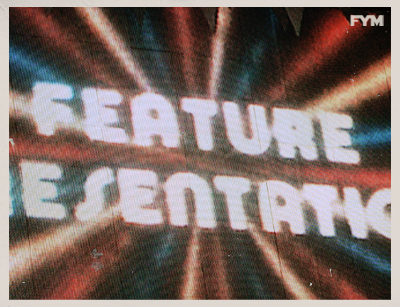 It was our favorite performance of the weekend, and a life experience this art director will always treasure. A special thanks goes to Big Hassle Media for knowing how to put on a festival the right way with- amazing local food vendors, chill security, and formidable music. Cheers, FYM.